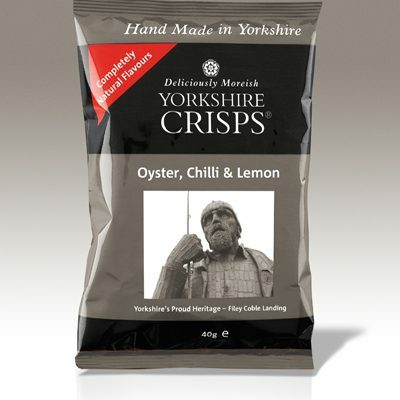 The latest addition to Yorkshire Crisps’ snacks range – Oyster, Chilli & Lemon flavour – is now available in single 40g foil bags as well as in re-sealable 100g drums. According to Yorkshire Crisps’, these hand-cooked crisps which are the brand’s take on the recently trending ‘fish and chip’ flavours, are produced from locally-grown potatoes with natural flavourings. The product is also free from artificial flavours, colours and preservatives as well as MSG and GM ingredients. Yorkshire Crisps are available to buy at independent retailers, farm shops, delis and can also be purchased from Ocado. Trays and boxes may be bought direct from the factory in Sheffield, UK.